You are going to Watch Cardfight!! Vanguard G Episode 44 English dubbed online free episodes with HQ / high quality. Stream Anime Cardfight!! Vanguard G Episode 44 Online English dub Chrono vs. Taiyou. The final game of the special match commences as Chrono fights Taiyou while trying to convince him that his current mindset is wrong. Unfazed by Chrono’s plays and words, Taiyou calmly counters his moves and takes control of the fight. However, Chrono is cheered on by his friends and is reminded of the connections he made through Vanguard. 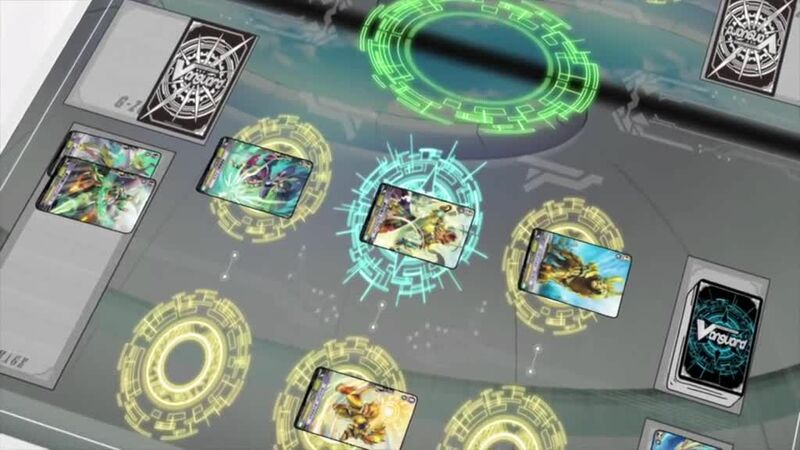 Hoping to convey the message that Vanguard is more about fun and friendship to Taiyou, Chrono strides Chronodragon Nextage and wins the game, thereby winning the special match for Team TRY3. Before he and Taiyou could talk more, Kanzaki suddenly announces that he will fight against Chrono.